The release of the Carrera 4 was somewhat of a watershed moment for Porsche as it moved its iconic 911 in a new direction, allowing it to garner wider appeal yet without engendering any serious compromises to its performance. 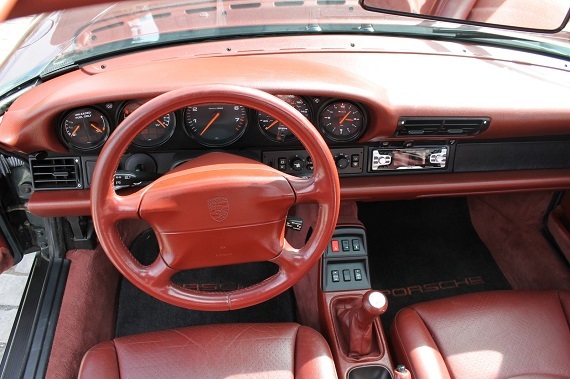 While any all-wheel drive system is going to be heavier the Carrera 4 was not simply a dumbed-down version of the 911 intended for boulevard cruisers. With lessons learned from the 959 supercar Porsche’s all-wheel drive system was to provide some mastery over the 911’s difficult dynamics. It would be easier to drive fast for many drivers and for some may be even faster than its rear-drive counterpart, depending on conditions. Even though there is some rally pedigree in the distant past of the early 911s Porsche probably wasn’t intending for the Carrera 4 to suddenly take on the Audi Quattro, but that is not something that should diminish how we approach the Carrera 4 itself. It was to be an all-conditions barn burner providing on the road benefits to its drivers equally at low speeds and high. 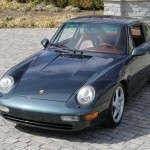 First released in 1989 for the 964, the all-wheel drive system saw a number of refinements for the 993 intended to reduce the weight penalty of the all-wheel drive system while also improving its dynamic improvements over the 911’s standard rear-wheel drive. 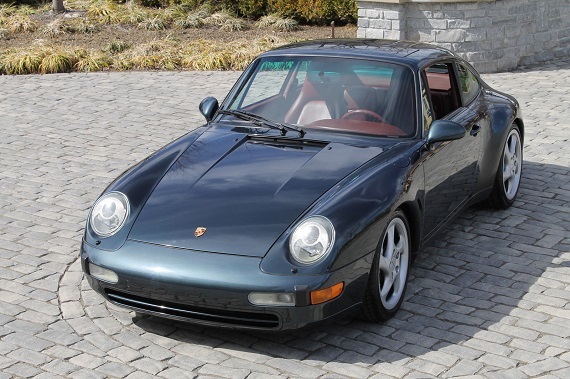 While not nearly as highly sought after as the Turbo-bodied Carrera 4S a 993 Carrera 4 remains an attractive option for buyers desiring one of the last of the air-cooled models and want to experience a healthy dose of Porsche’s technological acumen at the same time. 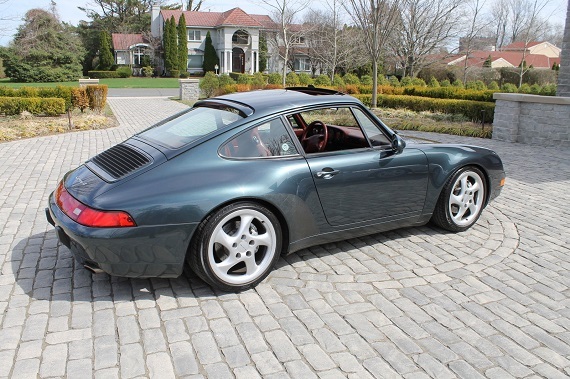 Here we have one such example: an Aventurine Green Metallic 1995 Porsche 911 Carrera 4 Coupe, located in Brooklyn, with a Red leather interior and 52,801 miles on it. Just Serviced & ready to be enjoyed! Clean CarFax report showing free of accidents or issues. More pictures or video available on request. While perhaps a little close to a Christmas decoration, the colors here work very well together and with each shade being a darker variant of their respective greens and reds we avoid the sort of brash ostentation that a brighter combination would yield. Typically shades of Green look particularly good with a Tan interior as that gives it a very woodsy feel and a light/dark contrast that lends an air of freshness to any car. But this is certainly a nice alternative, while also being a much more rarely seen combination. 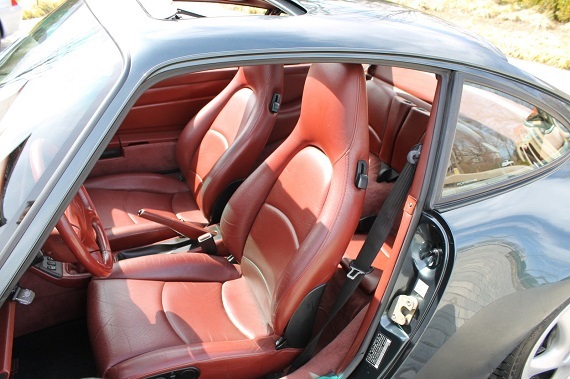 Add to that the apparent good condition that is reflective of the very reasonable mileage of this Carrera 4 and there is a lot to like about this 911. It’s even priced pretty reasonably too! 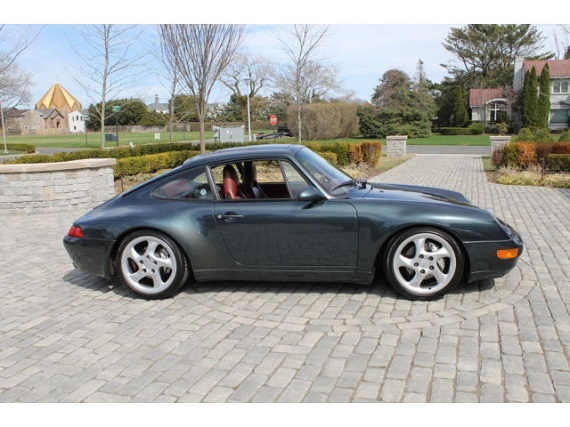 Tagged 1995, 911, 993, air cooled, Carrera 4, Porsche. Very unique looking car along with great features. This is one of the successful car models of Porsche. This luxurious car can definitely provide us a unique driving experience. 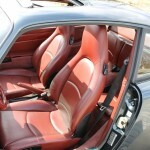 Buying used Porsche car is nice idea to save a lot of money.